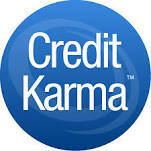 Does Credit Karma really offer free credit reports? After my last article, someone pointed out that Credit Karma also provides a full credit report for free as well, no payment info required. It seems too good to be true, but it’s apparently “the real deal” – you do get credit report info, no payment info required! I further understand that by submitting this registration form I am authorizing Credit Karma, once it has obtained my credit report(s) and score(s) for me at any time, to retain a copy of such credit report(s) and score(s) in its records along with the other information I am submitting through this registration form (collectively, the “Registration Profile”), to use that Registration Profile to match me with product and services offers from time to time from its marketing partners, which offers it will send to me either by e-mail (based upon my communication preferences) or through the display of advertisements and to further use that Registration Profile to provide statistical analysis, reports and summaries of my Registration Profile in comparison to other users’ Registration Profiles. I understand that Credit Karma will not be sharing my Registration Profile with any of those marketing partners and that it is completely up to me to decide whether I would like to accept any of the offers I receive. So in short, if you’re ok with having third parties access your credit reports and personal financial info in order to market to you.. Is that worth having free credit reports? For example, if one has a home mortgage on file, a mortgage refinance company may find targeting this specific person & group would be far more fruitful then simply doing “shotgun” approaches to promoting its offerings. In a similar fashion, someone that’s falling behind on their bills, have multiple latenesses, and/or delinquencies, may be a prime target for “Debt Consolidation” or “Credit Counseling” companies’ ads.